What you need to know about forehead lift surgery / brow lift. What is a Forehead /Brow lift ? A cosmetic process to correct drooping of the forehead skin, eyebrows, and upper eyelids. The effects of aging are inevitable and often the brow area and forehead will show the initial signs. Usually, the skin starts to lose its elasticity. Wind, pull of gravity and sun, all of this take an effect to the face providing in frown lines, increased heaviness on the eyebrows, and wrinkling across the forehead. 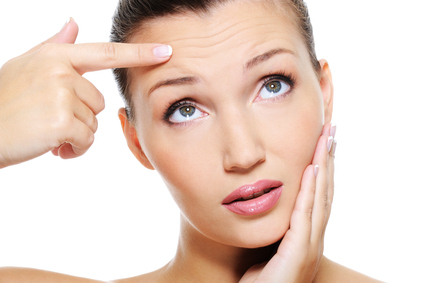 Even people in their early thirties, may suffer from these forehead wrinkles. As a result, a lot of people have now appreciated this lifting procedure. Based in variations in how women and men age, and on fresh innovations in medical technology, different approaches are used to carry out this procedure. If you have concerns on how a forehead lift (Brow lift) can improve your looks, then you must know how this process is performed and what to look forward to. This article will address various concerns, and offer you the info you need before you begin considering this surgery. Who should have a brow lift ? A person who notices that he or she has heavy or droopy brows, which create-hooding at the superficial part of the eye, is an outstanding candidate. A man’s brows ought to be at the bony ridge, while a woman’s brows should sit above the bony-orbital rim. If the eyes appear tired, brows look-droopy, or are palpated in a lower spot when the eyes are closed, this procedure is ideal for you. However, a patient who desires to have his brow lift, should overall be of good health, and have reasonable expectations. In this procedure, an incision known as coronal incision is made starting at the ear level, up to the top of the forehead extending to the other ear. The surgeon then cautiously lifts the forehead skin, removing any glut fat and tissue; and if necessary, repositions the muscles. During this process, the eyebrows may also be realigned at a higher level, and any glut skin is trimmed. The difference between classic procedure and the endoscopic procedure is the size or magnitude of the incision. With the endoscopic procedure, the surgeon makes about five short scalp incisions, which are less than an inch long. Through one of the incisions, an endoscope is inserted, allowing the doctor to see the tissues and muscles underneath. The surgeon in a different incision inserts another device, which lifts the skin. Similar to the classic lift procedure, the eyebrows might also be realigned at a higher level. Whether you are having this procedure for cosmetic or functional reasons, your choice of a competent facial plastic surgeon is of top importance. You should also know precisely what you wish to correct about the existing appearance of your forehead. During the consultation with your surgeon, he will examine your structure, your hairline, and condition of the skin in order to come to a decision, where incision should be made. Your medical history is also scrutinized, so that he can reflect on any medical conditions, which may heighten effects of the procedure. A detailed explanation of the process will also touch on the risks involved. After the resolution to proceed with the procedure is made, the surgeon will give you any necessary information on how to maintain yourself before the day of the surgery. The procedure can take place in a hospital, at a surgeon’s office, or in an outpatient surgery room. Your surgery will not last overnight as many people may think. Contrary, it usually takes about three hours, though this may extend due to some reasons. You may be required to come along with a companion to drive you home after the procedure. It is also necessary that, the person stay with you for the first two days, just in case. To most people, doctors employ a general anesthesia before undertaking this procedure. After the surgery, the doctor will cover the lifted area with a soft, uncontaminated bandage. It is very imperative to follow the directives on how to behave, in regards to bandage protection, and how clean you should keep the operated part. As earlier mentioned, people should not confuse this operation with those complex and advanced procedures. The patient will then receive a general anesthesia to curb pain, or a combination-of other anesthesia whichever necessary. Most lift operations are carried out under local anesthesia, in combination with a downer to make you drowsy. The good thing is that, you will be awake but relaxed and most importantly your face will not be sensitive to pain. However, one may feel some occasional discomfort or tugging. Some surgeons may opt for general anesthesia, which will make you sleep throughout the operation. The incision is generally made behind the hairline. 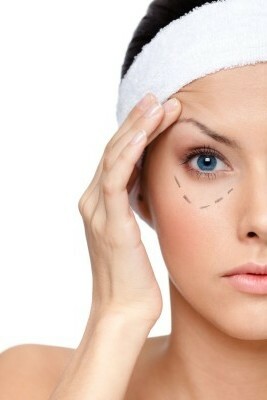 The number and length of incision will strongly rely upon your facial features. If your hairline is receding or high, the incision might be positioned just at the hairline. The forehead skin is lifted, the causal tissue is removed, and the forehead muscles are altered or released. In this case, the eyebrows may as well be elevated. The incision is closed with clips or stitches. An elastic bandage or gauze will cover the part where the incision has been made. After this, you may be ready to go home; however, it is advisable after the surgery, to be in company of someone who will watch over you during this short period of recovery. When will the stitches or clips be removed? If your surgeon used the traditional approach of lifting the forehead, then the stitches can be removed after two weeks. However, for the endoscopic approach, the stitches can be removed after a week. What are Some of the Facts I Need to Know about this Procedure? Are performed in a surgery centre in about two hours. However, this time may increase due to facial structures and requirements of the patient. Keep the-brows in their original or natural shape. Ointment for the incision part – This should be the one, which your surgeon has prescribed or recommended. There is tightness in their forehead for a few-days after the surgery. Some may suffer from a mild-headache for one or two days after the operation. However, this may be an insignificant pain. 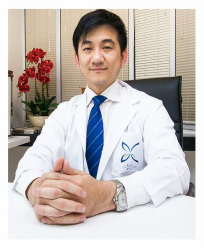 Patients can style their-hair few days, specifically two days, after the surgery. The hair incisions are sometimes invisible even few days after postoperative period. Most patients take some few days off from work, and can recommence their typical jobs two weeks after the operation. Sensation loss – With classic forehead lift – brow lift, the loss of sensation is common around the incision. Though it is usually temporary, sometimes it can be permanent. Eyebrow movement problems – Also very rare ; this is due to an injury to the nerves, which control the eyebrow movements. As a result, this can cause a reduction of ability to create wrinkles on the forehead, or raising the eyebrows. Surgery however, may be necessary to revert, this situation. Complications during the procedure – For an endoscopic forehead lift /brow lift, there is always a slight possibility of complications arising causing the doctor or surgeon to change techniques, and opt for a classic brow lift. Unfortunately, this can result to an extensive scar, hence a longer period of recovery. Your recuperation is going to differ depending on the surgery method used. In either situation, your stitches will need to be removed after few days. For about two days after the surgery, one should keep their head elevated to lighten the swelling. The surgeon may also advice you to keep cold compresses on the lifted forehead. As earlier stated, most patients heal fully within two weeks and return to their daily occupations. In addition, you should also stay away from vigorous exercises, heavy lifting, or any other demanding activities during the first few days after surgery. Contact your surgeon immediately, if you notice your fever raising more than it should be. If you experience excessive swelling, or bleeding, contact your doctor as well. To help maintain your revitalized appearance, avoid excess exposure to the sun. In addition, maintaining a healthy life will also assist in improving the results of your newfound youthful appearance. Does Insurance Cover brow lift Operations? There is no insurance firm that covers facial and forehead surgeries because they are largely intended for cosmetic reason. You are covered or compensated for an eyelid surgery or forehead lift only, if there is evidence of eyelids impairing your ability to see, or any other medical circumstance that requires these kinds of surgeries. It is imperative that you get price quotes or fees in writing from your doctor’s office, so that you are aware of charges in case of any follow-up care. It is important not to rush in getting an operation because others are doing it. People will do it for various reasons, and yours might not be substantial enough to demand a forehead lift. Discuss your options with your surgeon, who is better placed to advise you on how to go about the process. Before going for the operation, confer with the surgeon, what you really expect to gain from the procedure and the results you will practically achieve. In addition, before considering this operation, you need to be fit or in good health – if possible a non-smoker, or prepared to halt smoking for a specific period before, and after the procedure. You must have a realistic, positive approach to your surgery. Remember, this surgery can only be effective on specific parts of your face; that is the forehead. You may have other complimentary operations in conjunction with the lift to rejuvenate the whole face. The pre-operative sessions along with the following weeks before the operation are very significant, if you want the procedure to be successful. You really need this period to prepare yourself both physically and emotionally. Be clear and honest with your surgeon about your expectations. At least from the beginning, the surgeon can advice you if the expectations are realistic or unattainable. After everything is in place and all is done, you are guaranteed of a new look. At least for a number of years, there will be no deep furrows, sagging forehead and wrinkles on your forehead.